Kibish, in the Omo Valley on the borders of Ethiopia, Kenya and Sudan, is a village unlike any other. Far from any city and with an unforgiving climate, it has nonetheless become a place where traditional lifestyles meet the contemporary world. 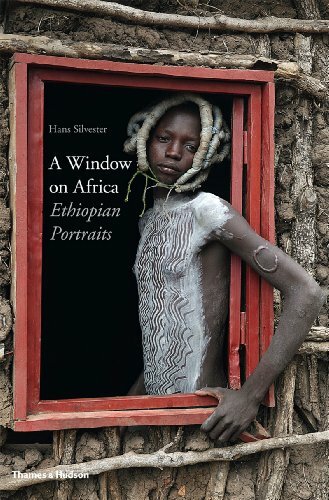 This book is a beguiling portrait of its people, seen through an unusual lens - that of a simple window frame. From painted, marked and scarified tribesmen to tradesmen with their tools and farmers with their animals, this collection is a priceiess record of a unique and increasingly fragile way of life, one threatened by conflict, tourism and the rapidly encroaching twenty-first century. 'My little red window has become almost a mirror image of the startling changes taking place today in Africa, where so many conflicts have arisen from the coming together of different peoples, creating a chaotic jumble of humanity that obliges vastly different cultures and languages to bond together to form some kind of community. My window has captured a moment in time, nothing more, nothing less, and in its endless stream of faces we can see the diversity of humankind, its customs and its religions, in a place that the old world now has to share with the new, with strangers who are here to stay.